Super Garlic Oil is fresh, pure, unrefined garlic oil concentrated and encapsulated without denaturing garlic's active nutrients. Equivalent to 1500mg of fresh garlic. 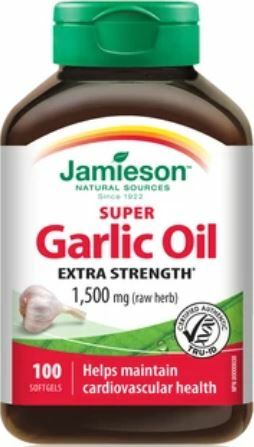 Each capsule contains: Garlic Oil 3000mcg, equivalent to fresh garlic 1500mg.